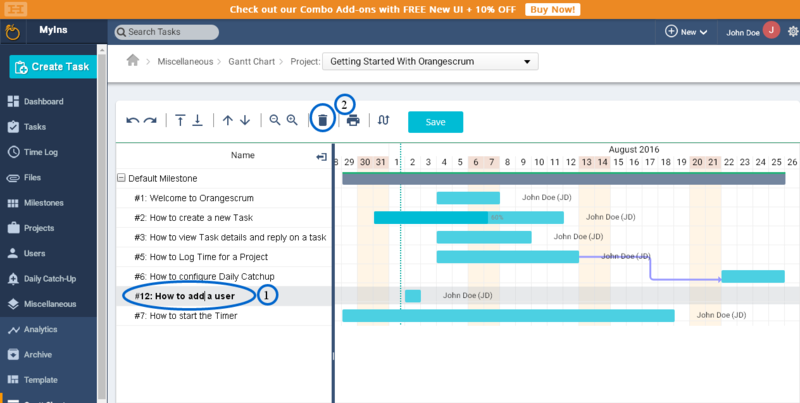 Home Gantt Chart How to delete a task from Gantt chart? How to delete a task from Gantt chart? Select the task from the Gantt chart page, click on the “delete” icon & select “Ok” and “Save” to delete the task as shown in image.